With an available torque-vectoring AWD system, 280 horsepower and plenty of cargo room, this rugged SUV is fully equipped to turn any outing into an unforgettable adventure. Overcome the elements in the 2019 Passport. Its 280-horsepower V-6 engine helps you power through, while its torque-vectoring AWD, independent suspension and Intelligent Traction Management system keep it steady even in adverse road conditions. The Passport is loaded with tech for both play and peace of mind. Access your smartphone’s music, messages and more with Apple CarPlay™  and Android Auto™  integration. Or find your way, even off the grid, with the Honda Satellite-Linked Navigation System™ . With numerous seating configurations, ample cargo space and hidden storage compartments, the Passport has plenty of room for adventure. So whether you plan your route or prepare for the unexpected, you can load up the Passport to fit your kind of journey. 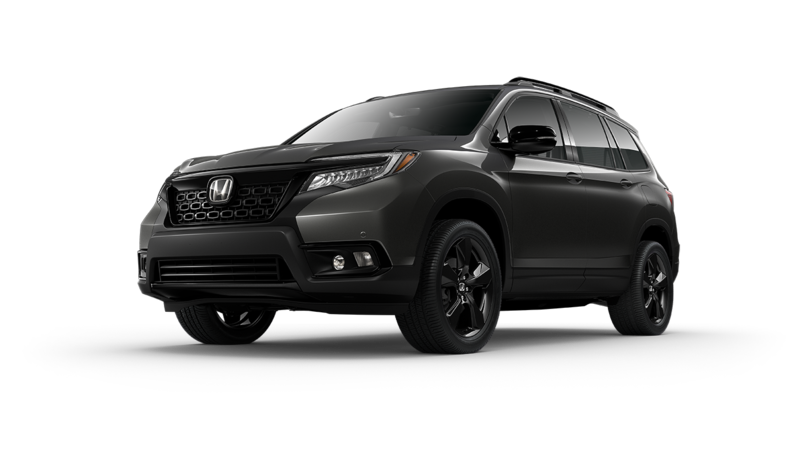 Thanks to the Honda Sensing® suite of driver-assistive and safety technologies that comes standard on every 2019 Honda Passport, drivers can stay alert to changing traffic conditions. Honda Sensing® systems can even act if the driver fails to react to alerts for slowing traffic or unintended lane drift. Helps bring your Passport to a stop by automatically applying brake pressure when the system determines a frontal collision is unavoidable. RDM can determine if you cross over detected lanes without signaling and can even provide steering and braking assistance to help you stay in your lane. The FCW system can help sense the presence of vehicles in front of you, and if it calculates that you're at risk of colliding with a detected vehicle, it activates audible and visible alerts. A small camera searches for lane markings on the road. If it detects the driver making an unindicated lane departure, visual and audible alerts will signify the departure. Long highway drives are easier with LKAS, which subtly adjusts steering to help keep the Passport centered in a detected lane. ACC helps you maintain a set following interval. After stopping, a tap on the throttle instructs the car to continue maintaining the desired interval between the vehicles. 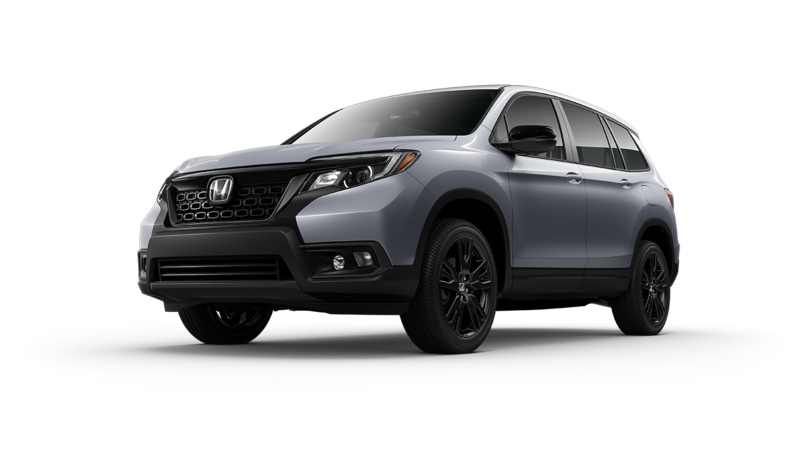 The advanced driver-assistive technologies of Honda Sensing® come standard on the 2019 Honda Passport Sport trim and above, while its competitors lack these smart safety features. 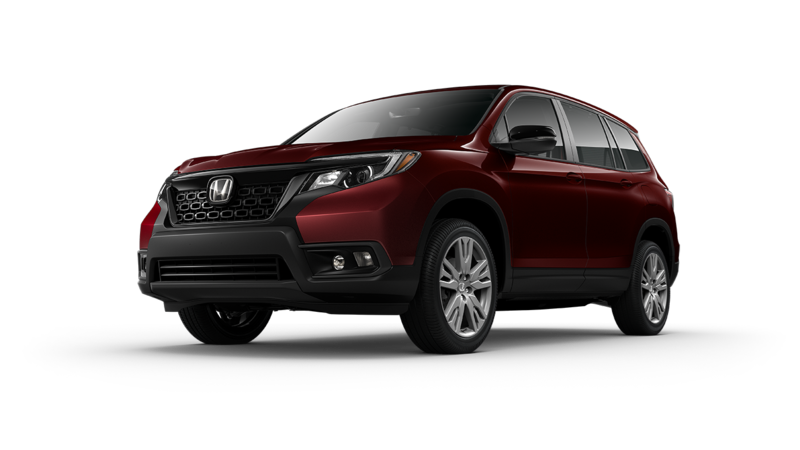 The new Passport's comprehensive suite of safety technologies delivers the modern conveniences and driving peace of mind, all at a driver-friendly Honda price. 2019 Passport Sport 2WD. MSRP excluding tax, license, registration, $1,045.00 destination charge and options. Dealers set own prices. 2019 Passport Elite AWD. MSRP excluding tax, license, registration, $1,045.00 destination charge and options. Dealers set own prices. 20 city/25 highway/22 combined mpg rating for 2WD trims. 19 city/24 highway/21 combined mpg rating for AWD trims. Based on 2019 EPA mileage ratings. Use for comparison purposes only. Your mileage will vary depending on how you drive and maintain your vehicle, driving conditions and other factors. The Honda Satellite-Linked Navigation System™ is standard on Touring and Elite trims in the United States, Canada and Puerto Rico. (Honda HD Digital Traffic service only available in the United States, except Alaska.) Please see your Honda dealer for details. Honda reminds you to properly secure cargo items. MSRP excluding tax, license, registration, $1,045.00 destination charge and options. Dealers set own prices. The systems are not a substitute for your own visual assessment before changing lanes or backing up, and may not detect all objects, or provide complete information about conditions, behind or to the side of the vehicle. System accuracy will vary based on weather, size of object, and speed. Driver remains responsible for safely operating vehicle and avoiding collisions. SiriusXM services require a subscription after any trial period. If you decide to continue your SiriusXM service at the end of your trial subscription, the plan you choose will automatically renew and bill at then-current rates until you call SiriusXM at 1-866-635-2349 to cancel. See our Customer Agreement for complete terms at www.siriusxm.com. Fees and programming subject to change. XM satellite service is available only to those at least 18 years and older in the 48 contiguous United States and D.C. ©2018 SiriusXM Radio Inc. Sirius, XM and all related marks and logos are trademarks of SiriusXM Radio Inc. Simply complete the form below and a representative from your selected dealer will contact you to schedule a time.